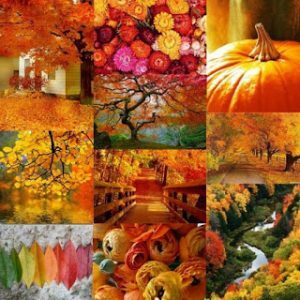 I love the colours of Fall – the deep, almost burgundy reds, crisp oranges, rustic browns and bright yellows and the remnants of summer green. How can it not stir the creative soul? 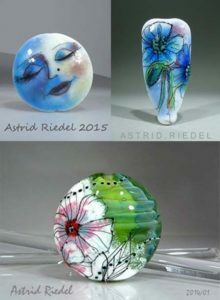 We welcome Astrid Riedel to our calendar of September classes. 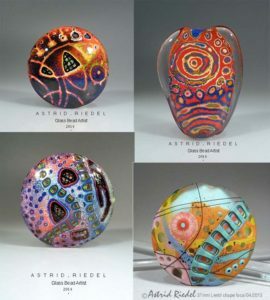 Astrid is teaching two outstanding lampwork classes. Our late-September classes also feature several new classes including a new full day class with Marilyn Gardiner. 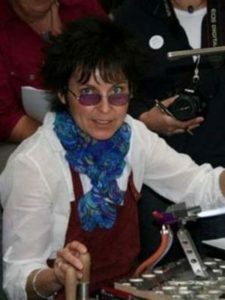 Angela Peace is teaching a new way to end ropes and other substantial pieces that need tube ends. 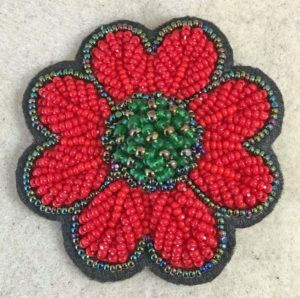 Wire workers will love Lucie Lee‘s new class and seed beaders will adore Naomi Smith‘s new poppy pin that you’ll have ready for Remembrance Day. 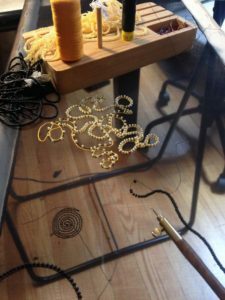 If you’ve wanted to try weaving, check out Pamela Kearns‘ new tapestry class using the Jewel Loom. 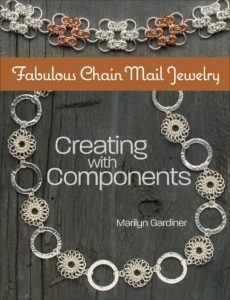 BeadFX is proud to help launch Marilyn Gardiner’s new book Creating with Components. As part of the launch, Marilyn will be leading scheduled make & takes throughout the afternoon. Autographed copies of her book will be available for purchase. Bring a friend and help Marilyn celebrate! 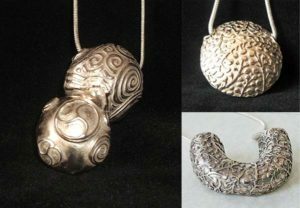 Explore how to create strong hollow metal shapes for pendants and components. Class continues Saturday, September 22; 12:00 – 5:00pm. Discover how to embroider as haute designers do! There are many stunning round weaves – let Marilyn help you design a piece for yourself! Explore the world of gems and minerals for your own jewellery designs! 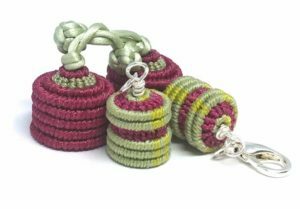 Learn to make custom-sized end caps using cord! 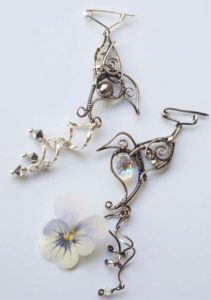 Lucie will show you how to create your own wire wrapped brooch! 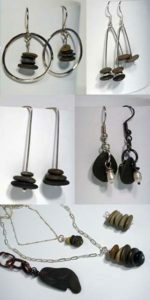 Find out how small stones and pebbles can amp up your jewellery designs! Create glass beads while enjoying the camaraderie of others! 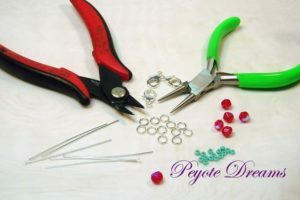 Give yourself dedicated beading time! Be among the first to see the new weekly products! 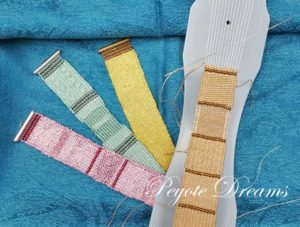 Discover how to create weft-faced tapestry bracelets using the Jewel Loom! Combine glass enamel and molten glass while working your beads! Create a beautiful poppy befitting the importance of Remembrance Day. Class continues Saturday, 9:30am – 4:30pm. Drop by and say ‘Hi’ to Astrid. 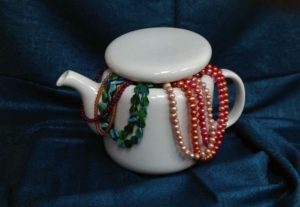 She will be bringing a selection of beads for show and sale. Explore how to create lampwork beads with lots of colour and pattern! Class continues Sunday, September 30, 10:00am – 5:00pm. 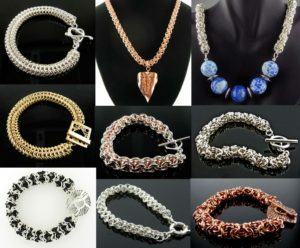 Help Marilyn celebrate the launch of her second chainmaille book! Make a delightful zipper pull with Marilyn! 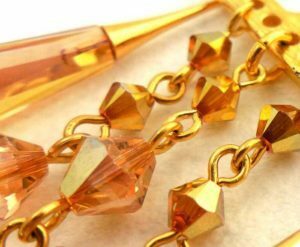 This class is a perfect entryway into the world of jewellery making! Click on the title to get complete information about each class/open session including course description and applicable fee. You can also go to the September class calendar to see all of the month’s activities. Yes, I would like to receive emails from BeadFX.. Sign me up!